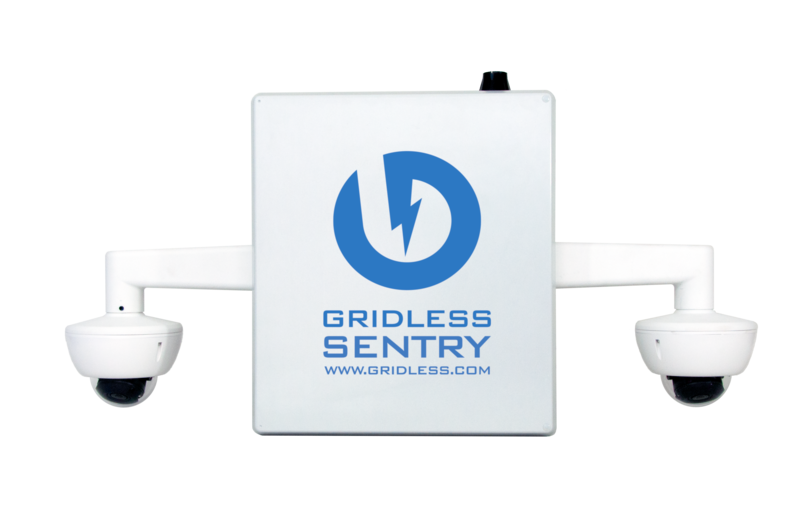 Gridless Sentry | Deployable Camera System - Gridless Power Off-grid, clean, rugged solutions for your toughest power problems. Gridless designs solar batteries with the capacity of a generator. The Gridless Sentry is a security system with no infrastructure required. No wires, no servers, no power lines. Just mount the Sentry on a pole, connect a solar panel, and you have a 24/7 security system. View all your cameras from a cloud backend for remote access. + Shutter Time: 1/5 sec. to 1/16000 sec.